Ginger root is one of the most popular spice in the world. It is obtained from the rhizome part of the plant which is situated under the ground just below the stem. Ginger extract is used in a number of modern day medical formula. The benefits of ginger finds mention in a number of ancient medicinal practices including Ayurveda. Drinking ginger water everyday is a great way of maximizing the benefits that could be obtained from the spice. Ginger water could be prepared either by boiling fresh ginger in water, and letting the concoction cool before consuming it. Subsequently it may also be prepared by soaking a chunk of dry of fresh ginger overnight in water. Read on ahead about the benefits of drinking ginger water everyday. 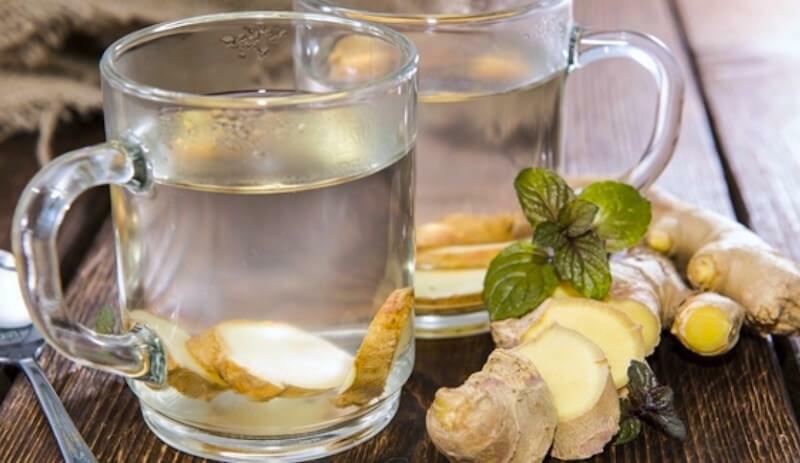 Ginger water could be had first thing in the morning everyday as a remedy for a host of gastrointestinal ailments that may lead nausea and vomiting. A concoction of ginger could be topped with some mint, lemon and honey in order to get relief from morning sickness during pregnancy. Ginger root is rich in zinc which aids in the natural secretion of insulin by the body. Moreover regular consumption of ginger has also known to boost the health of the kidney. High levels of sugar in the body increases the rate of metabolism of the body. Consuming ginger water curbs hunger, keeping you far away from untimely, snacks, thus playing its part in regularizing the sugar levels in the blood as well as promoting weight loss. Ginger is boosted with a number of nutrients and antioxidants which imparts a natural glow to your hair and skin. Moreover the presence of vitamin A and C is extremely beneficial for the health of your hair. Ginger is also boosted with anti-bacterial properties which prevents the growth of any infections on the skin. The anti oxidants present in ginger is known to fight inflammations to the brain cells. Thus ginger is known to be an excellent remedy for ailments of the brain which are a result of the degeneration of the brain cells, like Alzheimer’s disease.